Many of my readers will know that we've recently moved into our new house. The house itself was finished in early September last year, but the outside is a work in progress. My hubby has had loads of fun with different machinery (you know, boys and their toys!!) levelling out the backyard and putting up a swing set for Olivia. 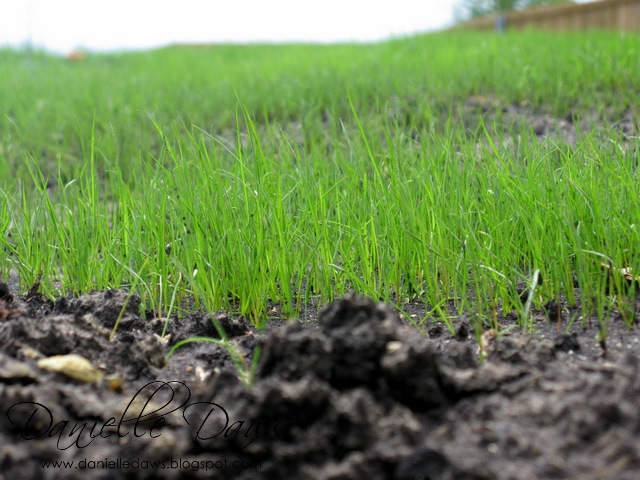 We're now in the (very slow) process of growing our lawn for the backyard. The sheer size of the lawn meant that it would have cost an awful lot of money to have turf laid, so hubby decided to grow our own from seed. We're getting there! 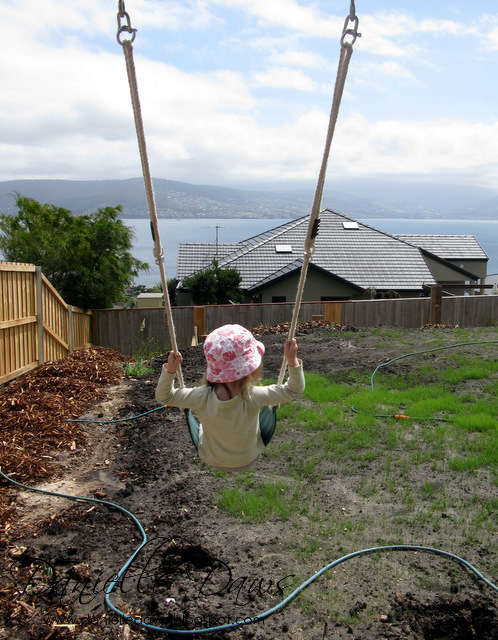 I'll leave you with a shot of Olivia on her new swing, soaking in the view... not too shabby, is it? Looks like you have a really good helper there! What a beautiful view! Awesome photos! What a brilliant scarecrow, too. Awww love her scarecrow! Charlotte made one this week out of the broom and her baby's clothes - to scare the birds away from our fruit trees. Too cute. 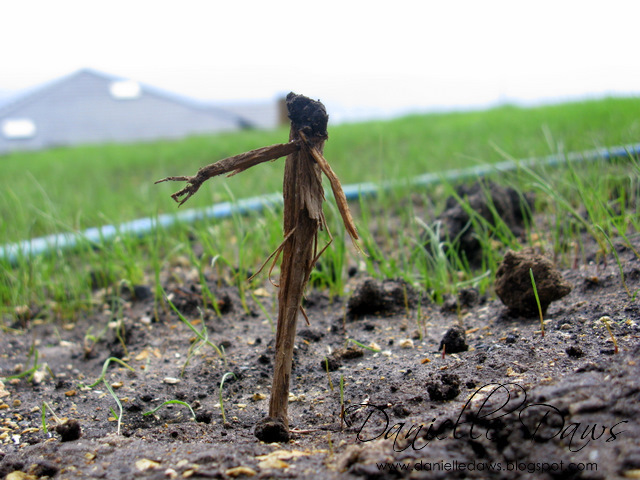 Now that is one CUTE scarecrow! lol Aren't kids to funny!